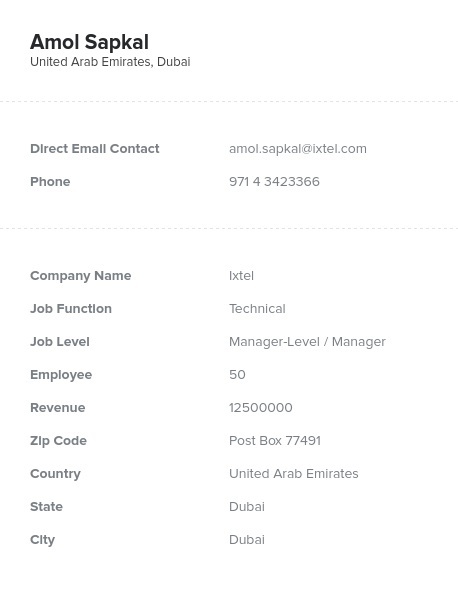 Reach out to businessmen and -women in the Middle East with this reliable and accurate email database from Bookyourdata.com. Connect with locals so that you can expand globally and market to a new audience! Start calling new prospects and emailing leads today. Do you want to make connections with Middle Eastern business professionals? When you plan on marketing globally, it's important that you have great business-to-business (B2B) connections on the ground. Find the key business people who will share your brand with new customers, or simply network with some of the top contacts in the region with this list. Use this information to seek out and market to a vast group of professionals working in these countries to build a better tomorrow. Whether you want to simply network with this group, market to them, or help build stronger business connections before you send out your product or service to a new group of consumers in the Middle East, this is an amazing and effective tool!